How would you like to join me in a quest to drive up your book sales and overall income? Last year I made some fundamental changes to the way I do business and the payoff has been astronomical. This year I have even bigger goals. I have spent the last few weeks doing intensive research into search engine optimization and traffic generation techniques to my Legacy4Life Planners (focused on B2C market) and my PLR Planners (which caters for the B2B market) range of books and products. My Legacy4Life Planners Etsy store is not doing a lot of sales and I want to change that. 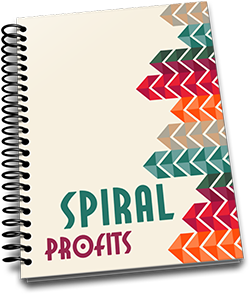 My PLR Planners store is doing very well but I now have a target to reach of $10 000 a month after affiliate commissions. That’s a BIG goal. I have a list of specific strategies I am going to implement and monitor the impact it has on my sales and web traffic. While I was starting to set things up, the thought crossed my mind that you would benefit from this as well. One focus will be on driving traffic to my Etsy store because their tracking tools are comprehensive. This means I can see exactly where the traffic is coming from and what percentage of that traffic converted into actual sales. These techniques will work for my Amazon store as well. The only problem is that Amazon does not share traffic information with us, so it would be difficult to quantify the results. However, based on the strategies I am going to implement, i expect to see an increase in sales on Amazon as well. The other focus will be on my PLR store, and how I can optimise my B2B sales. As I using WordPress and aMember I am able to track certain vital stats during the year. I will record videos that show you the exact strategies I am implementing. Together we will monitor the web traffic and sales results in each stage. You will get detailed screenshots and logs with full transparency. There is a closed Facebook group where we discuss the strategies and results. I will post videos into your membership area as and when I implement the different strategies. You will get regular pdf summaries showing traffic results and actual sales figures. You will be given tasks to complete and implement so that we can monitor your results. If you do not have the time to implement this now, you will still have access to all the videos and training material in your account when you are ready. I will also run Q and A webinars to answer any challenges you might be facing. Q: What if I don’t have, or don’t want an Etsy store or Website of my own? A: It does not matter. The strategies are aimed traffic to a specific url, so you can drive traffic to your website or your Amazon store. Q: Will there be a refund available? A: Nope. This is a lot of work for me to put everything together for you. You will getting total transparency from me as I will be sharing my personal business results with you. A: Send me an email and I will be happy to answer them for you. A: I am going to be tracking the results over the next twelve months extensively. As I experiment with different strategies, I will add them to the course. Q: Do I need an additional budget for advertising or anything else? A: No. I am going to be using free resources. Q: Will you be covering other topics like creating journals, loading on KDP Paperback etc? A: Yes, Just ask me to add topics of your choice. Q: Where will I find this training when I have bought? A: In your member’s area under the Quest tab. Once I have completed all the training material, this course will go up to $997. As it is a work in progress, I am offering you the opportunity to get in at $397 or 3 payments of $149 for now . Once off Payment. You will be redirected to your purchase immediately. If you cancel your payments, all access to The Quest will be removed and no refunds will be processed. Please allow me 24 hours to give you access to the training as it has to be done manually.